The 2010 Tomorrow Never Knows Festival gets a split personality this year with the introduction of a second venue in addition to Schubas, in the form of its sister (brother?) club, Lincoln Hall. Featuring five days of comedy, indie rock, girl rock and soul, this little winter festival is one of the (extremely affordable) entertainment highlights of a very dark month each year. Check the site for ticketing, read up on some of our picks, pull on your boots and get on out there. The festival starts Wednesday night, the 13th, and runs through Sunday the 17th. Most tickets are $15 or less and you can also still pick up a 5-day pass to all events for $75 which includes a host of freebies including Zipcar shuttles between venues. What follows is a brief preview of some of the acts you can catch each night. More on each act and full ticketing at Schubas website. Ok, I kind of feel like good comedy is like p*rn. I know it when I see it. Schubas has curated this lineup of comedians for the opening night of TNK that I feel will either get you out on a Wednesday for some wacky times (complete with the keyboard vampings of Robot Lounge) or you'll go because you like the novelty of seeing comedy in a music venue (what? hey?). Still, this roster has an impressive resume. Prescott Tolk has appeared on Comedy Central's Premium Blend, Cameron Esposito was voted Best Comic 2008 Chicago Snubfest (and she's a girl, gasp! ), Adam Burke has performed widely locally as well as toured nationally, James Fritz recently appeared in the Just for Laughs Festival and Mike Sheehan was recently named one of the 20 best comics in Chicago. Think of these acts as the comedian opening up for a major arena rock show (with the comfort, intimacy and cheep beer of Schubas) and you might just relax and have a good time. Voxtrot hails from indie rock haven Austin, TX and are best known for melodic light-hearted tunes from their debut Raised By Wolves EP, which had heavy '60s pop hints. 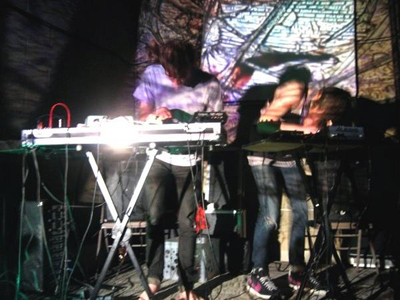 They followed up their breakout success releasing a full length in 2007—even performing at our own Pitchfork Music Festival that same year—but they've been largely absent from the scene since. Then in March of last year, lead singer Ramesh Srivastava posted a note saying that "sometimes one needs to disappear in order to regroup; situations change and human beings are swept here and there by the marvelous ebb and flow of culture." It appears that Voxtrot is back, however, judging by their new single, "Trepanation Party" (produced by Spoon's Jim Eno), which takes on a super '80s Cure vibe, the group may be taking a turn towards dramatic synths and blue-lit longing. 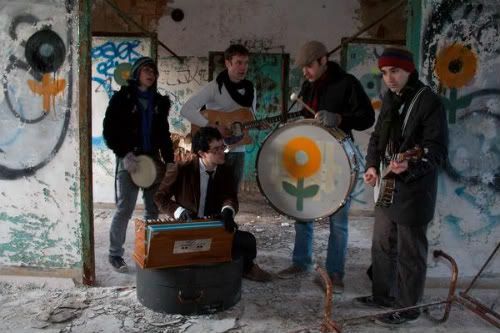 Having not heard much else in '09, one would assume that they've been hard at work, hopefully resulting in some fresh material to be heard at their Lincoln Hall appearance. 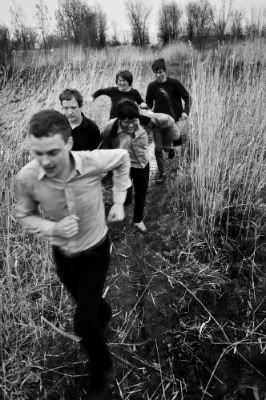 Solid Gold's first lunge onto my radar was 2008's "Who You Gonna Run To", a breezy yet sad electronic track that sounded perfect during a snowstorm. Nearly two years later, the band has been around the block quite a bit. With the addition of a real drummer and extra guitarist, they're a bit removed from the sound they exhibited early on. Late 2008's Bodies of Water has a more organic feel than most electronic music. It's reminiscent of a synth/dreampop hybrid, something like the Knife with a little Passion Pit mixed in. A mention or two in NME has helped propel them to prominence outside of their current home of Minneapolis. A UK-only single "Get Over It" is their latest release, but a new EP is upcoming and its songs will most likely be featured at Lincoln Hall with Voxtrot. And, by all accounts, their live shows seem to be a genuine party. A few months ago, while searching on YouTube for something completely unrelated, I happened upon a video of Brooklyn's Freelance Whales performing in a NYC subway station. The video is a mere 22 seconds long (although a longer video has since been posted), but I was instantly hooked. Since then, the band has signed to Frenchkiss Records and are preparing for the release of their debut album, Weathervanes, on March 16th. The dreamy album is a love story between a boy and the ghost who haunts his house. To tell the story they employ a variety of instruments, including the glockenspiel, banjo, waterphone, and synthesizers. Don't worry, I needed to Google "waterphone", too. 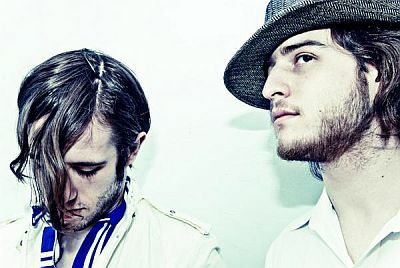 Peyote Brothers via their Myspace. You want mash ups? Oh you're gonna get 'em! Tonight's shows at Schubas feature some of the most praise-worthy masher-uppers out there. Local heroes Hood Internet and Only Children fit this bill perfectly. Want a sample? Oh, there are samples. Hit up Hood's best of 2009 mashups for some fresh nostalgia. Check out Only Children's latest mixtape, or a sampling of their latest remixes of Hey Champ, Tigercity and motherf-in Prince tracks. Jamaica Plain (that's in Boston, y'all) brings us Truman Peyote: a group that has been blowing up the ole buzzometers on the webosphere. Rounding the evening off is the very new project by Alan Palomo called Neon Indian. Touted as a "multimedia maelstrom" the act mixes dreamy noise with "visual acrobatics" by Alicia Scardetta. Got a New Year's resolution to get in shape? Try the amount of cardio you're going to get when you spend the night dancing to these four acts. Sweatbands optional. For those of us who don't believe that "everything's been done already" is an excuse to make sub-par, played-out music, there is Icy Demons. Icy Demons are a little free jazz, a little prog, and a little synth-pop, with a whole lot of good ole' Chicago-style weird thrown in, all the while remaining incredibly danceable. Their sound is simultaneously retro and futuristic--undeniably reminiscent of Zappa but not stopping there. 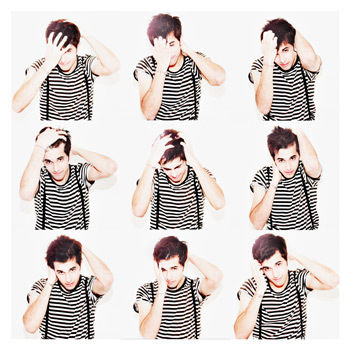 Playful lyrics are operatically belted out by the charming Griffin Rodriguez (a.k.a. Blue Hawaii) over staggering guitar riffs, lacy synth patterns and perfectly balanced percussion. Just as their music is a collective effort, borrowing from several genres, the band itself is a hybrid, made up of a talented group of folks who also play in several other equally inventive bands like Man Man and Need New Body. The thing about these musicians that makes their music stand out and their shows unbeatable is that they are obviously having a blast. A band like Icy Demons really puts on a show, and not because they are "performing." Instead, to see them play live is like taking part in a rowdy tribal ritual. There are costumes, there are props, there is stuff flying through the air, there is dancing, and there is a constant rotation of instruments. Instead of each player sticking to their single instrument, they switch around. Every song has a distinct sound because the who-is-playing-what has changed, but the sound remains adequately consistent because, of course, it is the same group of people playing after all. My wish has been granted and Final Fantasy opens the fourth night of the Tomorrow Never Knows Festival. His epic, yet lighthearted music sometimes blends classical sounds and contemporary with a loop pedal and voice that is weighed down by emotion. He makes absolutely beautiful, floaty music with all the heartbreak you can expect when a violin is involved. Owen Pallett choose the stage name Final Fantasy as a tribute to the fantasy role playing game. Many of the lyrics in his songs on his past two albums Has a Good Home and He Poos Clouds have lyrics that reference the game as well as others within the role playing game genre. Final Fantasy will start performing by his legal name because of trademark infringement laws and his newest release entitled Heartland which will be out January 12 on Domino Records. Considering Clues was formed by former members of two bands I adore (Brendan Reed of Arcade Fire and Alden Penner of the sorely missed Unicorns), this band is right up my alley. And if the band didn't already have enough indie cred, they also utilize a warped Commodore 64 on their album and stage show. Very hip. They formed back in 2007, and just released their debut self-titled album via Montreal's Constellation Records last May. Until then, the project was kept a bit hush-hush, with (still!) no website (other than the label bio page) or MySpace to speak of, which made their catchy debut even more of a fantastic surprise. Their music still maintains all of the whimsy that I loved in The Unicorns, and the band members are jokesters as well (they even wrote their own "Pitchfork review" of the album). 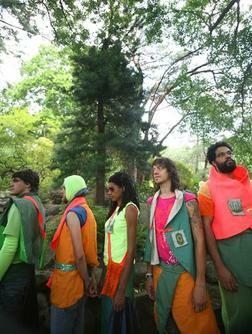 Skybox is a local band that adds just the right amount of quirk to pop music. Their live shows are theatric, unexpected and not to be missed. They take a page from such artists as of Montreal and David Bowie in that respect, and in writing songs that can differ widely, but still hold up on their own minus the pomp and circumstance. Anticipation is high for the group's new album, Morning After Cuts, which is set to be released January 19 — just two days after their TNK appearance — so you can bet you'll be hearing a lot of those new songs at the Schubas show. For a preview of the new album, visit their website where you can also download the infectiously upbeat single "In A Dream" for free. One of my favorite surprises over the last few years has been the rediscovery of nearly forgotten soul and funk artists. From Betty LaVette to Darondo (and numerous others), there has been a notable surge of artists being told, "Hey you. People still dig your tunes. How about some more?" 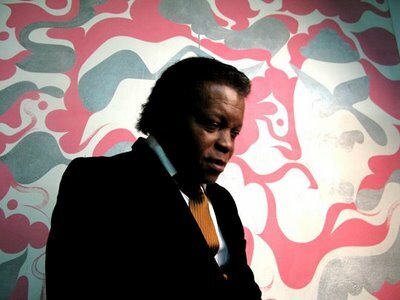 Most of these returns have had pleasant results and Lee Fields is no exception. At times compared to James Brown for his gruff wail, as heard magnificently on 1979's Let's Talk It Over, the singer has returned with a terrific band made up of members from the Dap-Kings, Antibalas Afrobeat Orchestra, Bronx River Parkway, Inspector 7, the Ordinaires and others. While the music certainly owes much of itself to the sweet soul of the '70s, it's not entirely a retro sound. There are numerous nods to more modern R&B and soul trends that lead to 2009's My World being an innovative and delightful album. And, like most singers from the '60s and '70s still charging along, the showmanship is nearly unparalleled. Read all our Tomorrow Never Knows coverage.